Destiny 2: Forsaken hasn’t quite been out for a week, and there are plenty of problems in need of ironing out, despite the overall package being quite well-received by the community. One of the biggest of course, being that players have been able to get a hold of raid gear before the raid has even launched. Bungie has responded to many of these issues in a new forum post, acknowledging that some fixes require code changes to come later, but four in particular are being addressed immediately. Bungie described these issues, what the plan to deal with them is, and also assured players that anyone who may have benefited from them won’t be punished. Raid Chests: Players have found their way into Raid spaces and claimed gear from bonus chests. Those chests are being suppressed until we can properly isolate them to Raid activities. None of the rewards they have granted will be rescinded. Prime Engrams: An exploit was discovered this weekend where players could earn Prime Engrams at a rapid pace using the Prime Attunement buff. At this time, Prime Engrams are designed to grant small power gains over time. Acquiring large amounts of Prime Engrams in a short timeframe reduces the frequency in which you earn Prime Engrams as you continue to play the game. Some players who have used this exploit heavily may find that Prime Engrams will not appear for the next two to three weeks. As such, this will provide a very small short-term gain for those using this exploit, but have negative long-term effects for a player’s power progression. We are investigating a fix for this exploit. In the meantime, we highly recommend that players do not use this exploit. Players who are earning Prime Engrams while playing through the game naturally will not be impacted by this issue in any form. 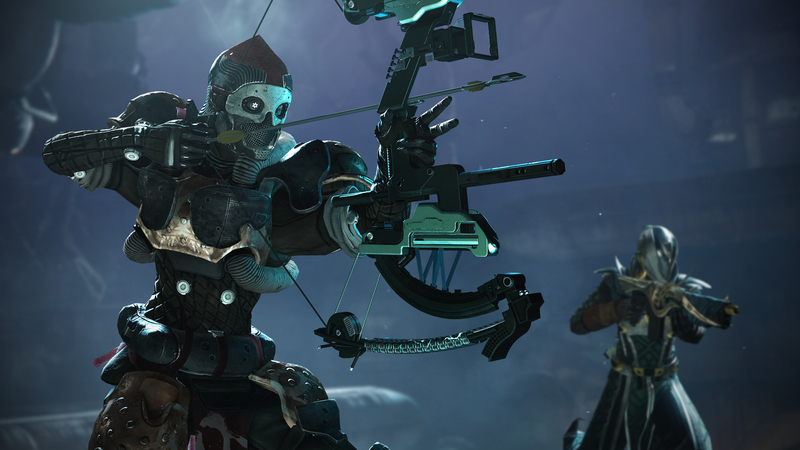 Weekly Challenge Reset: Weekly Gambit, Crucible, and Heroic Story Challenges were impacted over the weekend by an unforeseen Milestone reset. Players who completed Challenges after the faulty reset on Saturday were not given powerful rewards, and will not receive a proper challenge reset on Tuesday for these activities. We are investigating the cause of this issue, and will deploy a fix at our first opportunity. Additional information may be found in our #Help Known Issues thread. Gambit Suspension Issues: We are currently investigating an issue where players are being suspended in error from Gambit due to disconnections. Until resolved, players may encounter 15 minute suspensions when disconnecting from Gambit matches. We are currently investigating server side changes to matchmaking for this activity to mitigate the issue. Additional information will be provided when available. For those new to dealing with this sort of thing, Bungie closed out the post with a reminder that the best way to keep up with problems and fixes is to follow @BungieHelp on Twitter.